Forge of Empires allows players to rise up from the mud and build an empire from steel, and the blood of their enemies. Forge of Empires is an online real-strategy game with battle elements in which you create and command your empire. Start in Stone Age with a small settlement and progress all the way to modern times by developing technologies. Find a perfect balance between revenue and expenditures, as only then you can research new technologies, as well as guide your city and people to fame and victory. You can conquer other provinces and get valuable rewards and resources. Getting Started Choose a game world and follow instructions of Ragu Silvertongue to fulfill his tutorial. He will show you how to gradually grow your small settlement into a mighty empire; how to start your war campaigns by offering quests for you to complete and, on completion of the quests, will give you rewards. You start as the ruler of a small village in the Stone Age and grow your settlement as time progresses through the different ages. 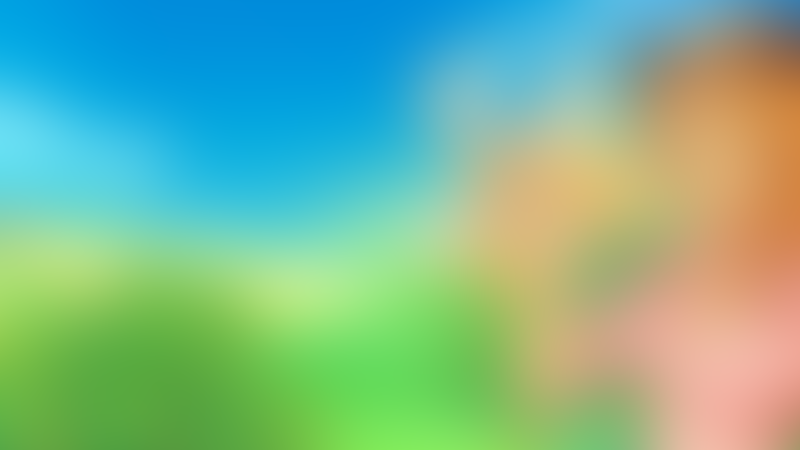 Your main goal is to become the strongest nation by: researching new technologies, building massive armies, collecting gold and resources, constructing new buildings, all while conquering other territories and keeping your people happy. The use of strategy while planning your city layout is also crucial. You start with a small amount of space that needs to be filled to the fullest for the best results. Whichever type of ruler you choose to be will determine whether you build theaters, alabaster workshops, and churches; or siege camps and spearfighter barracks. Each building serves a purpose in helping either to create your army, more gold, more resources, or happiness for your people. All of these elements must be watched over to run a successful empire. Battle A feature that a lot of players enjoy is the interactive battleground. 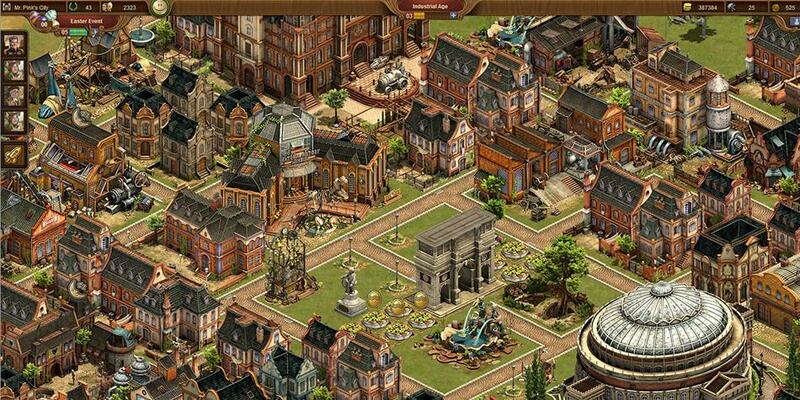 Forge of Empires has impressive 3D graphics that make the battleground all the more exciting. You are set up on a map with grids, decked out with different terrain for different bonuses, and you square off with the enemy. 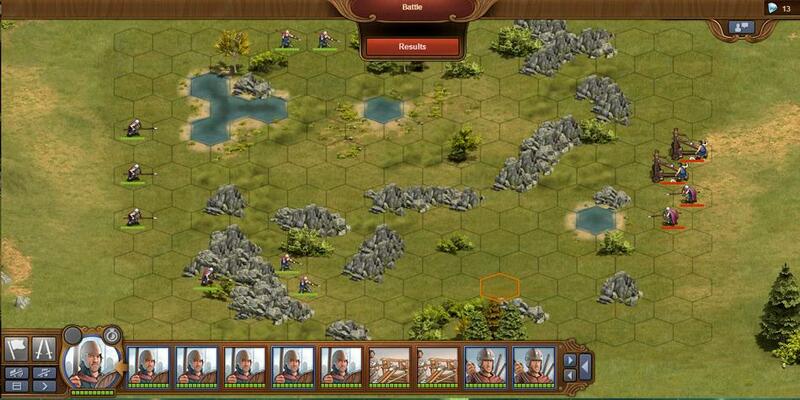 Forge of Empires has a campaign mode and a Player vs. Player (PVP) mode, so you will face the cunning of A.I. and humans alike. Certain units have certain strengths, such as quicker movement or stronger attacks, which is where a lot of the strategy of this game is embedded. This is not the only need for strategy though. Community Interaction with your neighbors is a key to your success. Forge of Empires offers many ways to communicate and meet new people: message and chat, guild bar, neighborhood bar, and friends bar. By developing trading relations and friendships you will get all the needed resources and make new allies. Joining or creating a guild is surely beneficial: it might further help you to develop your trading relations, and save some money. Allies can also help to get the best out of your city and the Great Buildings. Depending on your strategy, you might also find yourself constantly battling against your neighbors, plundering their cities and possessing their gold and supplies. The game offers tournament rankings with various awards with medals.